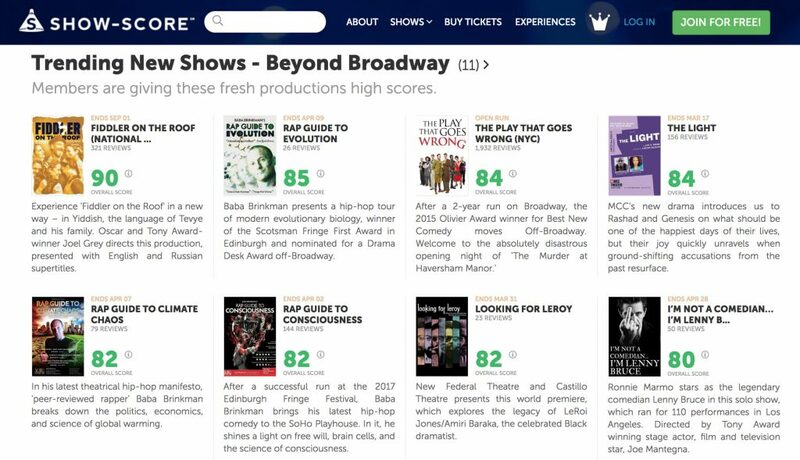 Show-Score.com is often described as the Rotten Tomatoes of New York Theater, and when they recently published their “Trending Shows off-Broadway List” I was proud to see three of the top eight shows currently have “Rap Guide” in the title, good feelings for good reasons. It’s not quite Arianna Grande’s top three Billboard status, but not bad for science-based hip-hop theater. The three show series continues through May 21 (and hopefully beyond). In other news, I recently had a lot of fun writing and producing a new song about anxiety, addiction, depression, and grief, and how they can be understood from an evolutionary perspective (along with all other emotions). You can listen to the song and watch a lyric video here, full music video coming soon. “Feelings for Reasons” is the first installment in what I hope will become a “Rap Guide to Psychiatry” or maybe “Rap Guide to Mental Health” if I can get mental health professionals to take an interest. The song is inspired by Evolutionary Psychiatrist Randy Nesse’s new book Good Reasons for Bad Feelings, which I highly recommend.